Energy based medicine is unlocking the next generation of healing. The human body consists of about trillion cells that harmoniously work together. 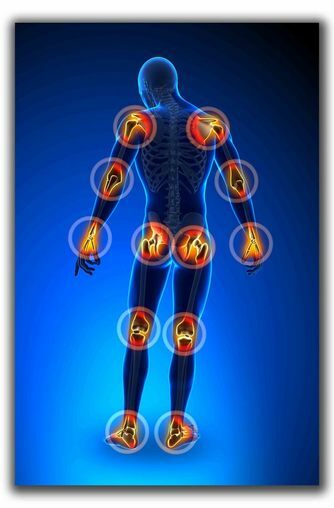 If a small energy deficiency arises in a cell or group of cells, imbalances occur within the body. By creating a resonance similar to those of the body's own cells, the QRS (Quantum Resonance System) restores cell functioning and penetrates the body, reinforcing weak functional cycles in a natural way using extremely low frequency (ELF) programs, which are equivalent to the natural frequencies. All energy is electromagnetic, and nothing happens in the body without an electromagnetic exchange between cells. We are all familiar with ECG (electrocardiograph) and EEG (electroencephalograph) tests which measure the electromagnetic activity of the heart and brain, respectively. When electromagnetic activity ceases, your life ceases. If you have ever held two magnets together and felt a resistance between them, then you have experienced a magnetic field. An electromagnetic field is a physical field produced by moving electrical charges. It affects the behavior of any other charged objects in the vicinity of the field. Electromagnetic energy controls your chemistry. Disruption of this energy in cells causes impaired cell metabolism, and if our cells are not healthy, our body is not healthy, in whole or in part. It is important to distinguish between electromagnetic fields we use for therapeutic purposes and other human-made electromagnetic fields from power lines, microwave ovens, cell phones, cell phone towers, T.V, and all other electrical household appliances. All of which create damage to our bodies. The German PEMF device, QRS, produces safe, natural therapeutic electromagnetic fields which are of the lower frequency and are complementary to the chemistry and functions of the body. Electromagnetic fields affect the behavior of anything with the charge in the vicinity of the area. Our bodies are electric - every heartbeat generates electromagnetic waves throughout the blood vessels, stimulating tissues at a cellular level. 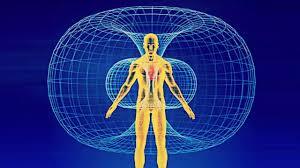 External electromagnetic fields and the standard electromagnetic fields of the body interact. So, a magnetic field passing through our whole body will affect each of our 70 trillion cells. As a result, magnetic fields act in fundamental ways on the molecules and tissues. They affect the most basic functions of all cells-human, animal and plant included. Patricia Ann Starr comes with over 20 years of healing training and practice. Starting with Plant Medicine and expanding in the world of bodywork and massage therapy, her practice varies to fit the need of the individual. She specializes in Structural Core Alignment, bringing the body back into balance, relief from back and neck pain and overall improvement of one’s being.